PSL, COPS TACKLE CRIME TOGETHER! THE Premier Soccer League (PSL) is stepping up to help the police to fight crime in Mzansi through football. 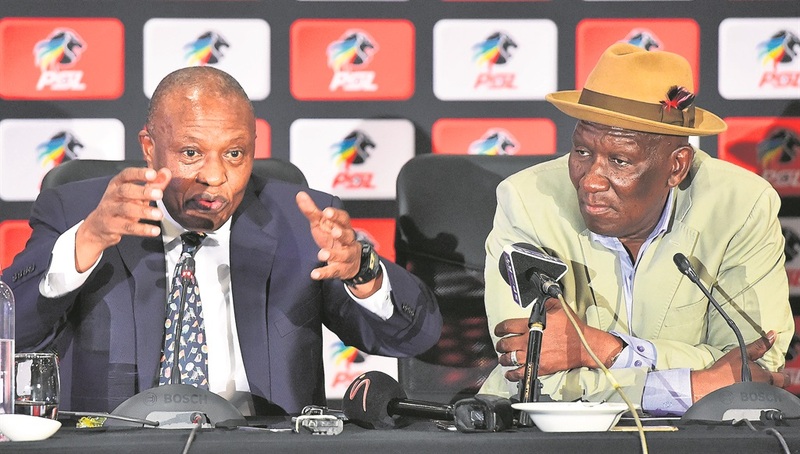 PSL chairman Irvin Khoza and police minister Bheki Cele announced a partnership between the league and the South African Police Services aimed at reducing crime through the MultiChoice Diski Challenge. “Football is the most popular sport in the country and this partnership will help us reduce crime in the republic. Of course, there are other sporting codes and other activities but with football we believe we have knocked on the right door,” said Cele. Cele explained that crime was most often committed by the youth and added that the statistics, to be released later this month, weren’t looking good. The initiative is set to be launched when the MDC games are staged at the Hammersdale Stadium in Mpumalanga township, KwaZulu-Natal, this weekend. The PSL has been rocked by hooliganism, spectator violence and vandalism at stadiums, which have put the spotlight on event security and the police. Khoza said they would be launching the initiative in KwaZulu-Natal first, but it would also be launched in the other provinces at a later stage.